Paragon Technologies is extremely proud of our technicians, because we know they’re truly the best in the world. Each of our technicians at all of our multiple North American locations is not only experienced, they’re also fully certified in all of the specific processes they carry out on your behalf. They are each also devoted to continuing education, staying on top of new developments as they happen, to make certain their skills remain razor-edge sharp. This ensures top-flight repair and rebuild service when you turn to Paragon, regardless of the product’s condition when you send it or which of our facilities you send it to, every time. 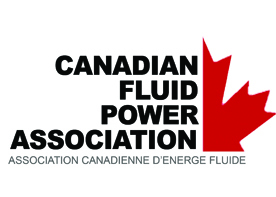 Paragon’s technicians are proud supporting members of and certified by The Canada Fluid Power Association (CFPA). This fine organization is dedicated to promoting fluid power technology in Canada and to providing its members with the latest updated knowledge and skills required to keep them at their best. This makes the CFPA’s certifications coveted the world over and an important linchpin in Paragon’s ongoing dedication to keeping you always working.